US District Judge Gonzalo Curiel, who Trump rightly said was biased against him due to his "Mexican heritage," is set to decide on the case of Juan Manuel Montes, the 23-year-old criminal illegal alien DREAMer who was deported despite allegedly being protected under DACA. 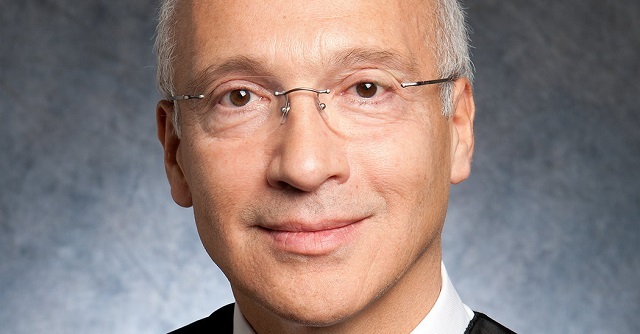 Judge Curiel is a member of the racist La Raza Lawyers Association and awarded illegal aliens with scholarships. "La Raza" literally means "the race" in Spanish. Seeing as how he strongly identifies as Mexican and is a member of an explicitly race-based advocacy group, the odds he will rule impartially on this case seem rather slim. President Trump will confront a familiar figure in the lawsuit over a DREAMer who was deported by federal immigration agents: U.S. District Judge Gonzalo Curiel. He's the judge who oversaw a lawsuit involving Trump University who Trump accused of being biased because of his "Mexican heritage." Curiel, who was born in Indiana, approved a $25 million settlement between Trump and students who claimed they overpaid for real estate seminars. Trump didn't admit any wrongdoing under the terms of the settlement. Now, Curiel has been assigned to handle a lawsuit brought on behalf of Juan Manuel Montes, 23, a California resident who was deported in February despite being approved for the Deferred Actions for Childhood Arrivals (DACA) program, which provides protective status for undocumented immigrants brought to the country as children. Curiel's assignment to the case was completely coincidental, according to rules for the Southern District of California. Kari Hong, an assistant professor at Boston College Law School who used to be an attorney in California, said judges are selected based on a rotating schedule. The court sets up a list of available judges and they are assigned each case as they come in. ...Curiel will be asked to decide whether U.S. Customs and Border Protection should release information on Montes' deportation to his team of attorneys. Montes said he was arrested and deported from the southern California city of Calexico on Feb. 17 for no reason. He tried to re-enter the country two days later by climbing over the border wall, but was arrested again and deported back to Mexico where he remains. The Department of Homeland Security said Curiel had DACA status, but violated that status when he left the country. DACA enrollees must be approved by the federal government before traveling outside the country. As I said yesterday, Montes is a convict who has already cost US taxpayers potentially hundreds of thousands of dollars solely due to the years of special needs public schooling and taxpayer-subsidized college he has received. He was convicted three times for driving without a license, the most recent time being just three months ago, and he was convicted of shoplifting just last year. Montes is a grown adult now who now has a $200,000+ education he can use to his benefit in Mexico. He should be thanking America rather than suing us.